A Holistic Center for Healing Body, Mind and Spirit. Heartway Healing Center® was founded 35 years ago by Mariann Dykes. With a vision for change, Mariann was a pioneer in creating alternative education centers in several locations across the Southeast and Southwestern states. Mariann recognized the inevitability of a paradigm shift. She saw tremendous planetary change on the horizon, and saw the need to help lead people through the coming shift in consciousness. Mariann has guided through individual sessions and seminar work thousands of people, and in an effort to reach more people, Mariann has set up several alternative healing centers that offer a holistic approach to healing. The Atlanta Heartway Healing Center®, now in its third year, offers Meditation, Holistic Counseling, Holistic Coaching, Nutritional Guidance, Energy Healing, and Creative Writing. These are only a few of the alternative healing modalities offered nationwide. Mariann has brought together seasoned as well as newly graduated practitioners to offer services at alternative healing centers across the country. Holistic Practitioners with lifelong experience in holistic healing and care, are here at the Atlanta Center to provide a holistic approach to healing. Call for an appointment to ask questions, or have a session with Mariann or any of the other practitioners. The need for change sometimes manifests in individual lives as personal crisis, whether physical, mental, or spiritual. Experiencing a need for change, or just having a sense that you are called to do more in life is reason enough to explore, and expand in consciousness on deeper, more Spiritual levels. Mariann is an Intuitive and acts as a guide and as a Natural Healing teacher. Mariann has spent extensive time in the Southwest working with herbs and healing there as well. She approaches healing with a holistic approach, Mind Body, and Spirit operating as a unified system. She has helped individuals and families for over 35 years. 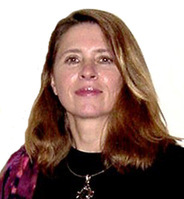 Mariann provides transformative Energy Work through meditation, hypnosis, and visionary guidance. She provides her services through in-person sessions, seminars and workshops in Georgia, Mississippi and Louisiana. She conducts sessions in Atlanta on a monthly basis. Mariann is also available for phone appointments Monday-Friday.